Our Company Foundation Established From 30 Years Growing Private Forests. Deliver a personal independent and honest service across all aspects of forestry, supported by the collective years of experience and expertise of the TAML team, gained from working with private forest owners at the coal face to the boardroom. Morris & Kelly have a genuine passion for ensuring all private forest owners achieve best outcomes from their forest investment. Morris Fisher established what is now TAML over 30 years, physically planting, tending and managing forests; more recently Kelly Coghlan joined Morris to help further develop the services for their customers. Both have a genuine passion for ensuring all private forest owners achieve the best outcomes from their forest investment. Morris & Kelly’s collective experience, working at the coal face of growing and harvesting forests means they provide forest owners with practical solutions and advice across all aspects of forestry. TAML offers a comprehensive forest services across all aspects of forestry, based on proven experience. Engaging competent full time harvesting contractors for all types of harvesting. 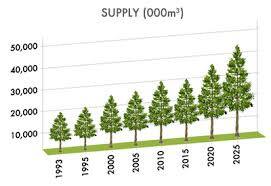 Over the next 10 years New Zealand forest harvest levels are scheduled to increase by 10 million m3, as the mid-nineties plantings mature. A large percentage of this increase harvest will come from private regional forest owners, being first rotation forests forward planning is the key to a successful harvest. Many Forest Owners have no idea of the value of their forest / woodlot investment or how they will ensure best commercial outcomes, talk to TAML for best independent advice. Our team are members of the New Zealand Institute of Forestry (MNZIF), offering a wide range of experience and expertise across all aspects of forestry. Kelly provides over 25 years’ experience working in the industry specialising in harvesting & marketing of private forest. Experienced gained from working with various NZ corporate forestry companies. Kelly previously managed log exports from Wellington for over 20 years and had the privilege to visit all international log markets. Kelly offers experience in forest financial budgeting, reporting and administration, along with project and management expertise across all aspects of forestry. Morris founder of TAML recently celebrated 50 years in the forestry industry, since joining the NZ Forest Service in 1966. Morris vision and passion for forestry now evident with the establishment of over 3,000 Ha’s of private forests in Taranaki, which he has personally established and managed. Morris commitment to the industry and his clients has stood the test of time over 30 years of developing personal client relationships. Sonya manages all the administration and accounts for the business. Married to Kelly, Sonya has gained an appreciation of all aspects of forestry business first hand, over the past 30 years. Tim joined the New Zealand Forest Service in 1968, Experience in Forest Management and Investment over a number of years. This Experience involves Multi-faceted Roles in Project Identification and Initiation in both the Public and Private Sectors; Forest Establishment, Silviculture, Harvesting, Log and Lumber Marketing, and Forest Investment. Hamish is a Southern North Island forest owner, a Fellow of the NZ Institute of Forestry and Registered Forestry Consultant. Previously, he held senor Government positions, served on the Council of the NZ Institute of Forestry. Currently he is as a National Executive member of the NZ Farm Forestry Association (NZFFA) in which he represented on the 2013 Board that established the NZ Forest Growers Levy Trust.